So for the second time this month, I’ve encountered the coincidence of working on a game review, only to find that the game had a Kickstarter campaign launching the same week. No Thank You, Evil! is an amazing game I’ve had on my shelf since it’s initial Kickstarter in 2016, but for various reasons was never really able to dig into until recently. The game is billed as a “tabletop game of creative make-believe, adventure, and storytelling”. Which as near as I can tell is just a less threatening way to say “roleplaying game” without the historical baggage that certain demographics hold on to about RPGs in general. It is modeled after a very stripped down version of the Cypher System that powers Monte Cook Games’ previous releases Numenera and The Strange, so I’m going to call it an RPG here. But that original description suits the game really well, regardless of the reasons for it, as it’s a wonderful game for both kids and adults alike. So, Let’s Go On an Adventure! The core box set of No Thank You, Evil! comes with everything a group needs to play: a softcover rulebook; a softcover adventure book; oversized six-sided dice for five players (because sharing is hard! ); character sheets (in three player levels); cards for characters, creatures, and cyphers; and a set of game tokens. The premise of the game is it that children may not know “roleplaying” in the same way an older gamer might be thinking of it, but they know a whole lot about pretending. In this game there are no set character classes, a player can be whatever their imagination can come up with. A character is summed up in one simple sentence, “I’m an Adjective Noun who Verbs.” If you have even younger players, that can be simplified even further by saying “I’m an Adjective Noun” or even just “I’m a Noun” and leaving it at that. The rulebook gives 10 very commonly chosen archetypes and if a player chooses something else you just choose the closest match and assign the numbers into the appropriate places. Remember, this game isn’t about fretting over details. It’s about having fun. Everything in the game takes place in Storia: the Land Next Door. But to get to Storia, players start in their very own, real life, bedroom. If you look closely, Behind the Bookshelf, you’ll find a secret doorway into a part of Storia filled with stories. Dinosaurs, knights, talking animals, and more. 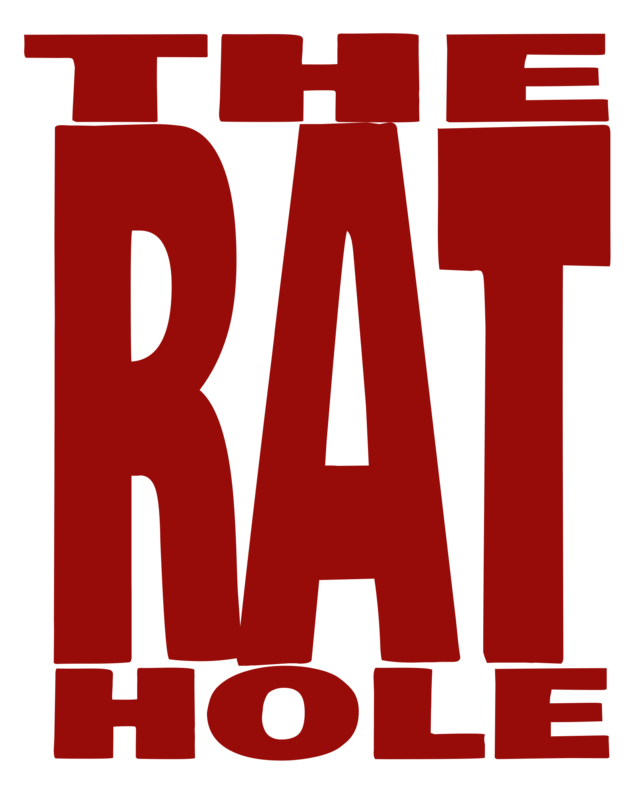 If you can open up a book to read about it you’ll find it here. If you go Into the Closet you will encounter a fairytale land of princesses, dragons, and magic. Potions promise spells, and promises spell trouble. Out the Window you’ll find a world of adventure! Pirates, and bowling alleys, and a laboratory that goes boom. Finally, Under the Bed there lays a spooky place filled will ghosts and goblins, mist and shadows. After the introductory stuff, Part 1 of the rulebook focuses on the actual rules and mechanics of playing the game. With only 20 pages of larger than average type, and lots of examples, it’s incredibly impressive how concise they’ve managed to make this. Part 2, on Making Your Character, is the biggest section of the book. That’s not because character creation is particularly difficult, but partly because there are effectively three sets of rules. Characters don’t “level up” as they do in other RPG type games, but there are three player levels, based on the age and experience of that player. Each level has it’s own, clearly labeled, character sheet so that the Guide running the game can see at a glance the different levels. Labeled throughout the book with an orange triangle, a green square, and a blue circle (with a matching border on the character sheets), this sliding scale lets different aged players all interact at a level that is understandable, and more importantly fun, for everyone. Part 3 of the rulebook takes Guides (and Players) through each of the four areas and introduces some of the key locations and (non-player) characters around Storia. As someone who has worked with a lot of kids over the years, I understand the need for this book to be short. At just under 100 pages, it runs incredibly tight and is well written so that even a pre-teen could run a game if they wanted. However, the young-at-heart adult gamer in me also desperately wants a 4 book set of campaign setting sourcebooks. There is just so much fun to be had here. The last part of the rulebook is just a few short pages on some of the weird and wonderful creatures around Storia. Happily, this section gets expanded significantly in the Uh-Oh, Monsters! supplementary box set. But what’s here definitely whets the appetite for more. The second book included in the core box is Let’s Go On an Adventure! This book gives a slightly more detailed look at running a game as the Guide then in the previous book. (Something that is expanded even more in the I’m a Guide! supplement.) It also gives three adventures, each designed specifically for the different levels of experience (but not necessarily the different player levels). Lost in Dragonsnot Falls is intended as a beginner adventure, perfect for new players or new Guides. Race Against Time is designed for slightly more experienced players. Finally, The Curse of Adventure Kingdom is designed for more experienced players. All three of the adventures follow the same structure: A Call For Help, Figure Out the Problem, and Celebrate. There’s also a few brief Background and Overview paragraphs to help the Guide set everything up. Important in a family game, but not a bad thing for adults as well, is that the adventures are all designed to run in about 30-60 minutes. Quite frankly, that’s a huge selling point for me in general, as full-day gaming adventures are often hard to schedule around life. No matter what age you are, this game is just fun. Obviously, an adult is going to have a different experience than a five-year-old, but sometimes dialing down the intensity is good. If you have kids in your life and want to start gaming with them, this is an AMAZING introduction to the hobby. It can spark a lifelong love of adventure while instilling so many important life skills that we sometimes overlook when playing as adults. 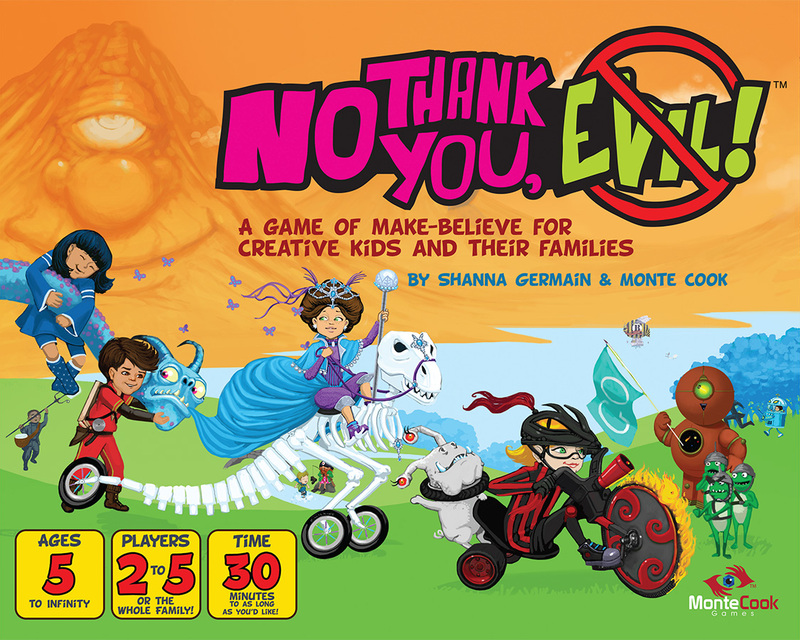 Next Wednesday I plan to run a CrowdFUNding Spotlight on Monte Cook Games’ newly launched Kickstarter for No Thank You, Evil! but if you don’t want to wait you can check it out until June 5, 2018. You can find Monte Cook Games online at www.montecookgames.com or on Facebook at facebook.com/montecookgames. You can find No Thank You, Evil! specifically at www.nothankyouevil.com or Facebook at facebook.com/nothankyouevil.